When I saw this kayak from a distance I did a double take, the second passenger in what, at a distance, appeared to be a tandem kayak didn't look quite right (a little too furry). 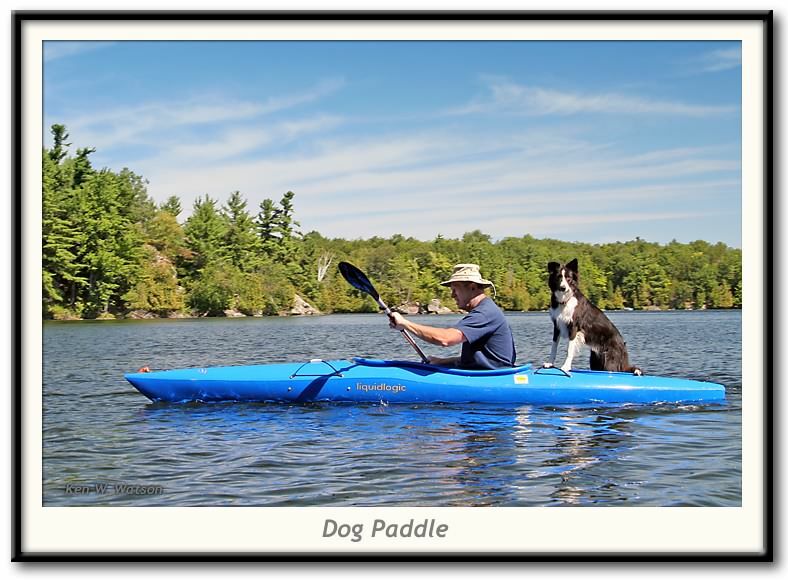 Turns out it was Bill Johnson taking his dog, Dory, for a paddle. Dory seems quite comfortable sitting (standing, lying down, turning around) in the rear hatch of Bill's kayak.